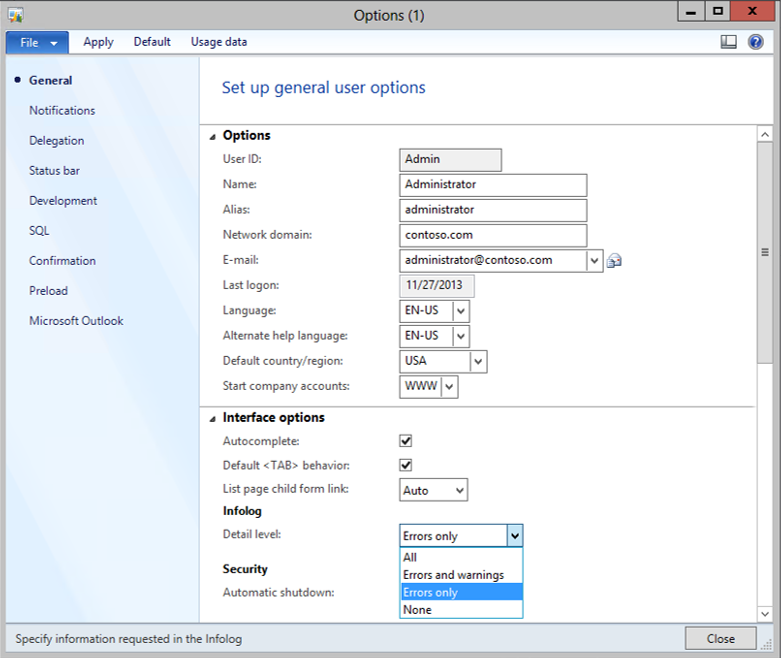 From the Files menu, select the Tools sub menu, and select the Options menu item. 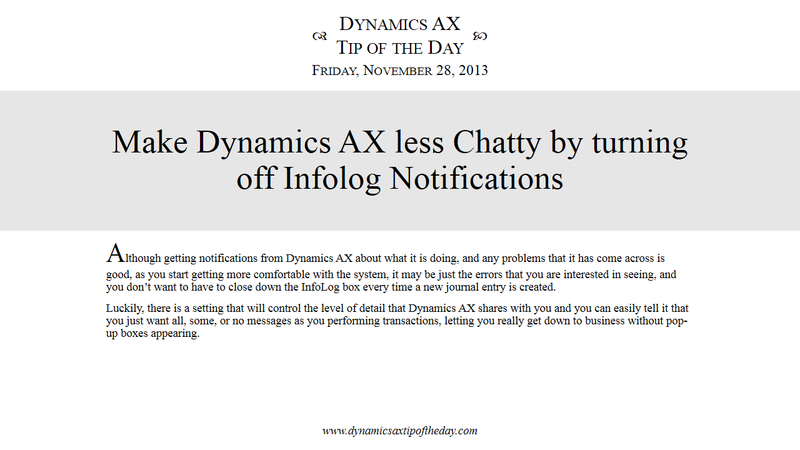 Within the General tab of the Options dialog box, you can change the detail level of the messages by selecting it from the Detail level drop down within the Infolog group of the Interface Options. Note: It’s probably not a good idea to select the None option, because if there is an error that is stopping you from something on, you won’t have any idea that it happened. Error only is a good choice for the expert users. When you have selected the detail level that you want returned back by the InfoLog then click the Close button to save your preferences.